CornerHouse, the south Minneapolis center that works with abused and neglected children, is slated to add space in Rogers, officials announced Monday. The number of reported cases of abuse in Hennepin County increased 30 percent between 2016 and 2017. And, in any given day, as many as 50 children are abused or neglected in the county. Those increases are fueled due to increased recognition and reporting of child abuse as well as the opioid epidemic. 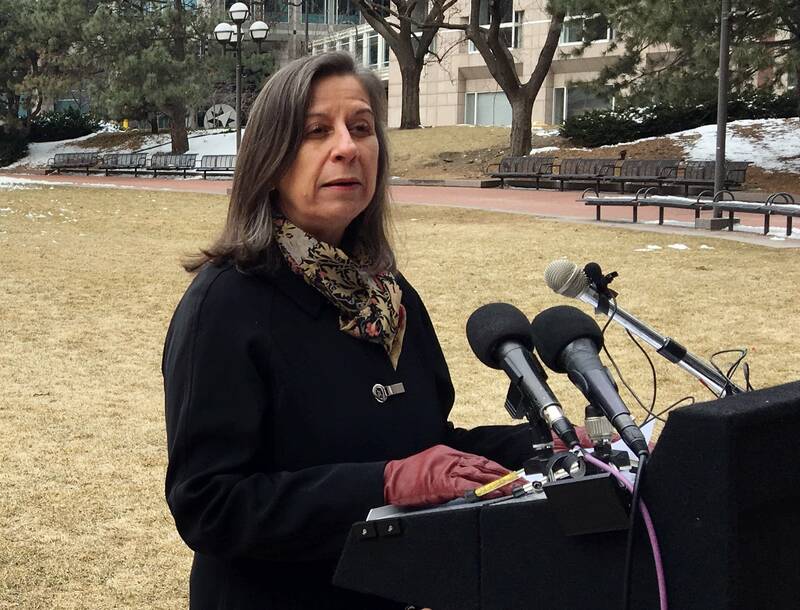 The news came during a press conference where officials marked the beginning of national child abuse prevention month by urging anyone to report signs of maltreatment. "Abuse happens when there are secrets; when families aren't talking about it; or when they're just not aware of the reality of abuse," said Patricia Harmon, executive director of CornerHouse, which among the services it provides, conducts forensic interviews of abused children and vulnerable adults. "If you're a parent or caregiver at home, notice your children, talk to them if they seem uncomfortable around certain individuals. Ask questions about what goes on at school and other areas. And encourage them to learn that their bodies belong to them." 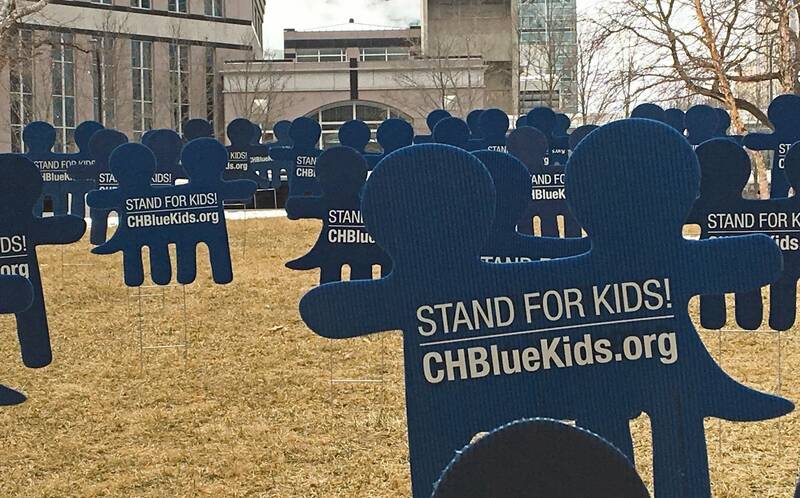 Harmon spoke in front of dozens of blue signs shaped like children. Each sign read, "Stand for Kids! CHBlue Kids.org." The signs were planted in the lawn of the Hennepin County government center's south plaza. Harmon said hundreds of the signs will be posted this month around the county, including in the windows of some popular restaurants. The agency is selling the signs for $25 each. CornerHouse is located in south Minneapolis but the needs of children extend beyond the city. Jeff Beahen, Rogers police chief, said he welcomes the addition of CornerHouse in Rogers. "We're the fastest-growing city in the state of Minnesota," said Beahen, who added the community still needs to raise more money to finalize the move. No community is immune to the ravages of opioid abuse including Rogers. "Even in a bedroom community, a fairly well-to-do community like Rogers, we're seeing that impact," said Beahen. "And it's so sad to go into these homes and to see that children aren't being fed. They're not getting clean clothes to go to school." One of the more than 500 forensic interviews conducted at CornerHouse last year was the then, 10-year-old daughter of Jerry Lee Curry and Shelia Machelle Wilson. Curry faces multiple felony counts of sexually and physically abusing the couple's adult twin adult daughters who are both developmentally disabled. Wilson faces criminal neglect charges. Both are jailed awaiting trial on the charges. According to court documents in that case, the couple's 10-year-old daughter told police and social workers that she didn't see or experience abuse but later accused Curry of striking her in the head with a golf club. A neighbor told MPR News that she once saw the adult daughters in the backyard of the house wearing only their underwear. The neighbor said she reported the incident to authorities but claims nothing happened. Hennepin County officials announced last month that it's launched a review of the Curry family case.